The fifth principle of Unitarian Universalism states that we affirm and promote "the right of conscience and the use of the democratic process within our congregations and society at large." 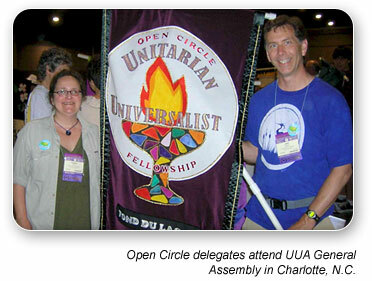 Thus the Unitarian Universalist Association (UUA) and its member congregations, including Open Circle UU Fellowship, are governed democratically. The Open Circle bylaws give the five-person elected Board of Directors "general charge of the property of the congregation and the conduct of all its business affairs and the control of its administration..." The board meets monthly and meetings are open to Open Circle members. Decisions regarding calling or dismissing ministers and buying or selling church property are made by a congregational vote. In 2012-2013 our Healthy Congregation Team gathered input from our members and created a Covenant of Community to govern right relations among persons within our community. Select the link below for the text of the Covenant. 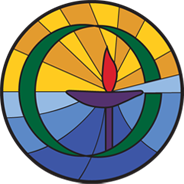 As a member congregation of the UUA, Open Circle UU Fellowship can send delegates to the annual UUA General Assembly where policy decisions are made.